Website Payments – one of our traders urges others traders to consider PayPal as an option for their online payment facilities. This trader offers traditional Visa/Mastercard/Amex facilities but says almost half his customers choose to use PayPal. He believes this is because of their strong online reputation through the likes of Ebay. Sparks Fly Over Facebook Post – one of our traders who commented on Victraders about an article was dismayed to find that Friends of the Market had copied and pasted their comments on the Friends Facebook page and also issued a press release about its content. The trader angrily pointed out that the content was strictly for Victraders readers and not for public consumption. The Facebook post was quickly withdrawn. Trader Elections – one of our candidates has questioned the wisdom of combining F and E sheds under the one representative. He believes the totally different nature of food and general retailing warrants separate representatives. Perhaps that could be one of the changes he makes when, and if, he gets elected. 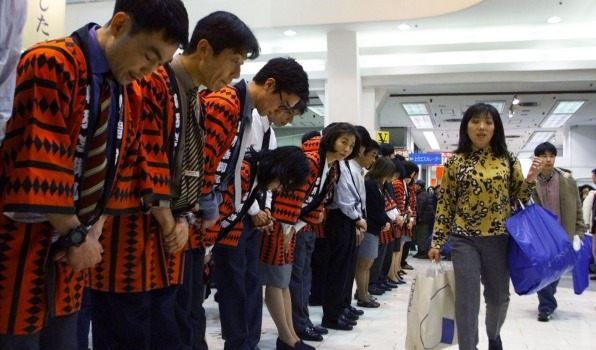 Lunar New Year Stimulus – QVM has embarked on a number of promotional activities for the Lunar New Year. There is growing global evidence that the event is becoming bigger and bigger from a retail point of view each year. One trader who volunteered to be part of the Wishing Wall promotion received visits from 9 different groups at his stall on Saturday. 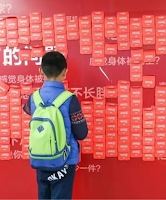 The promotion involves customers scanning a QR code on the Wishing Wall outside the Queen St. food court which takes them to the Wechat website (China’s most popular messaging service) and a special offer from one of approximately 20 traders. The level of customer interest that trader experienced certainly showed potential for this type of promotion. Heat In J Shed - Back on the 8th of January we published a trader comment about the debilitating impact of extreme heat on the South side of J Shed. One of the traders affected received a visit from Market Officers but has since received no more feedback and they are keen to see this issue doesn't get lost in the "too hard basket". Tennis Celebrity Visits Market - and not just any tennis celebrity - one of the greatest - Rod Laver himself. The man whose name adorns Melbourne's great tennis stadium is a market fan and today (29/1/2017) he was sighted in Rear L purchasing a kid's toy. Should Your Online Prices Be The Same As At Your Stall? We are told that omni-channel retailing includes a seamless buying experience for your customer whether they buy online or in-stall. So does that mean that prices need to be the same? We know that major retailers have different prices in different locations to allow for “market differences”. We suspect that translates to “If I can get a higher price in that location, I will go for it.” or “If competition is higher in that location I will adjust my price accordingly”. A QVM Trader who sells, say socks, gears up his market operation for a certain level of mass demand. Volume is the key and in a popular market like The Queen Vic Market he can achieve quick turnover and keep the costs associated with an average sale at a reasonable level. But if a customer buys one pair of socks online that cost/volume ratio is destroyed. By the time the pair of $7 socks has been packed, invoiced, and delivered to the post office he is losing on the deal. It is not clear just where the break even occurs for an online transaction but it is more likely to occur with a $50 or $60 sale than a $7 sale. Traders who sell higher priced items may not have such a problem and may be able to set uniform prices across their online and in-stall transactions. The answer to the question “Should your online prices be the same as at your stall?” probably needs to follow standard retail thinking. In the same way that a pure online retailer can claim to offer cheaper prices because of low overheads, then a brick’s and mortar market trader should be able to sell cheaper at his stall which is his “volume” location and charge more for “inefficient” online transactions. If the reverse applies then that is fine. There is a lot of hype in retail commentary about keeping prices the same across all your business activities. But the price you charge needs to reflect retail reality and a realistic margin. Rather than set hard and fast rules, traders should be encouraged to do what works for them - no apologies needed. 1. Cosmetics manufacturer and retailer, MAC Cosmetics, opens first Australian airport store in Adelaide. 2. Burberry’s records strong third quarter sales. 3. Receivers fail to find a buyer for Pumpkin Patch and stores expected to close. 4. Oroton downgrades its first half guidance. 5. Commonwealth Bank says in-store spending in December down 0.2%. 6. Vegemite returns to Australian ownership with Bega purchase. 7. NSW economy is Australia’s best performing. 8. Wesfarmers (Coles, K-Mart, Bunnings) overtakes Woolworths to become 21st largest retailer in the world. 9. McDonalds US comparable sales decrease in last quarter. 10. Ikea adds North Queensland to online shopping availability. 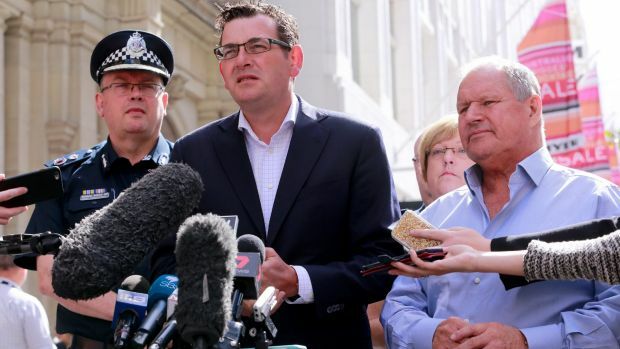 Now that there has been time to evaluate the events in Bourke St on Friday 21st January a number of organisations including The Queen Vic Market will be assessing their response and making recommendations for future action. It should be noted that there was no official government alert on that day although the escape of youths from Malmsbury detention facility in the week after, did result in an official warning from the government. It would appear that lessons have been learnt at all levels. There has been plenty of discussion around the market about the use of SMS’s to advise traders about emergencies, the use of bollards at key vehicle entry points during trading hours, and possibly even the permanent closure of Queen St.
Traders are also asking themselves how they would respond to an emergency and particularly under what circumstances they would abandon their stall and stock, as well as what responsibilities they have to their employees. More will come from this issue and it is likely that the soon to be formed Trader Representative Committee will have the question of emergency response high on their agenda. Bourke St Emergency – Friday’s tragedy has been addressed in a separate article but the informal trader communication under the sheds was certainly in full swing during the event. Mobile savvy traders were keeping their neighbours informed as the details were released on standard news outlets and social media. There was some trader concern about the lack of official information during the event and, once again, that is covered in a separate article on this website. F Shed Traders Concerned At Aisle Appearance – A group of F Shed Traders have written to CEO Malcolm McCullough concerning the appearance of a key corner stall in their aisle. The trader concerned fails to adopt the front to back trading philosophy in adjoining E Shed which was designed to enhance the appearance of the aisle. Instead a large vehicle and ugly storage boxes are displayed on the walkway. Action is expected. Sonia Prepares To Go Home – trader Xenia Charalambous is preparing to return home as she continues her recovery from a stroke. New Format For Stall Allocations - apparently a new system is to be introduced around casual allocations with allowances for stall sizes and positioning to be be better matched with trader needs. We assume this means a trader needing only frontage would not be allocated a deep stall and vice-versa. 23/01/2017 14:49:49 E and F Shed "Concerns of the F Shed traders are truly viable and the look of the isle is really unpleasant and unprofessional. In most of other isles throughout the market, stall holders have to take their boxes out or accommodate inside their stalls. Traders in B, C and D and part of E shed are putting their boxes in the back of their stall which is the thoroughfare between the sheds, and it does not interfere with the trading or the look of the other stall. But in E shed facing the shops, the traders put their boxes and or cars in front of the lockup shops. they do not care whether it is a shop or nothing but a wall. No attention to the look and prestige and disorderly look of the isle." Friday’s city emergency involving a motor vehicle being driven on crowded pathways ended with disastrous consequences including loss of life. It has raised a number of observations and questions about how similar situations can be handled. Firstly, let’s acknowledge the wonderful therapeutic value of the Queen Vic Market family. Friday’s events were incredibly traumatic and experts have encouraged the population to seek advice on how to handle their response. Thousands of informal conversations have taken place at QVM since Friday afternoon involving traders, staff, management and customers as we worked through issues, attempted to rationalise reactions and essentially vented our fears and concerns while expressing great sympathy for those directly involved. It is good to have friends. Much has been made of the QVM office shut-down during the city emergency. 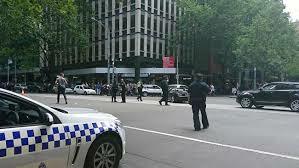 Apparently the offices in Deli Lane and at F1 were closed until the city offender was apprehended. Cleaning staff were stood-down by their employer but the public and traders were left to their own devices. Could more have been done? The office shut-down was echoed across the city as businesses, particularly in Bourke, Queen, Elizabeth and William streets were closed, so QVM’s response was understandable. How do you extend that to an open market? Any public announcement would almost certainly have led to panic. It should be noted that the time between the driver doing donuts outside Flinders Street station and being shot and apprehended in William St. was less than 10 minutes. The emergency was over fairly quickly. QVM Management has used mass SMS communication with traders before and perhaps an SMS to traders as soon as the offender was caught could have helped. QVM is a public area but there are traffic control options that could be considered when faced with a rogue driver. Bollards could be placed at major entries like Therry St., Victoria St. and Queen Street. In fact the questions needs to be asked why shouldn’t we have bollards in place in every aisle and lane way during normal trading times as protection from this sort of behaviour? Peel St. gives multiple vehicle entry points to crowded pedestrian areas. COMMENTS:23/01/2017 06:54:59 Bourke St "To say Managements actions on Friday were disappointing is an understatement.!! To go into lock down and leave traders to work it out for themselves is as bad as the captain of a ship leaving while it sinks... Yes, it was only 10mins but what would have happened if had driven up Queen st ?Who would have been any wiser? It only went up on the internet after the fact. For management to go into lockdown, meant someone must have notified before that. My Question is. Is QVM Holding Back Innovation? Many Queen Vic Market traders are keen to seek out new ways of achieving business success. It is a new year and a new opportunity to address the significant challenges that retailing is presenting to us right now. Some traders are asking if trader innovation is really high on management’s agenda at QVM. At QVM we are deep into the planning for a renewal so innovating, or preparing and changing for future realities, is a significant component. But much of that work is done at project level and we have already seen protests from traders who feel detached from the process. 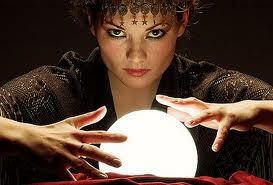 We are assured that the trader input will be a key component as the detail is examined. But what about the innovation that comes from traders right now? What about the new ideas that come from small business operators who want to make their direct mark on improving the Queen Vic Market and make it more relevant to consumers? What about the grass-roots knowledge and expertise that is willing to innovate and experiment with day to day business activity? What about the trader who simply wants to improve his or her business and take opportunities that seem to be clearly available in our market? We have opportunities like empty stalls and even empty lock-up shops that are not being utilised. We are not talking about major changes here. It might be introducing new lines, creating (or at least experimenting with) new businesses, making better use of trading space, moving stalls, or trading extra days. There is a perception amongst a number of traders that management are stifling that sort of innovation. And usually the excuse is -"We are waiting for future plans to become clearer." Every trader who has an innovative idea deserves to get support or at least a transparent explanation. Maybe we simply need more resources to achieve that. The newly appointed federal minister for Industry, Innovation and Science, Arthur Sinodinos, has reaffirmed his “keen appreciation of the importance of science and innovation policies”, and his view that innovation emerges when government steps back and allows “workers, entrepreneurs and risk takers [to be] at the centre of the economy”. Many traders would like to see more emphasis placed on innovation at the grass-roots level. It is all very well for long term projects to go on in the background at QVM, but traders need opportunities to improve their businesses, and make our market better, right now. If there are unreasonable barriers in the way, they need to be removed. Let's give the retail experts on the ground as much support as possible. "The sound of firecrackers will rise above the historic market sheds as part of a cultural extravaganza to celebrate the Year of the Rooster. From 27 January to 12 February 2017, delight in traditional performances from local and international acts, marvel at the mythical creatures and receive a message of prosperity from the Hongbao Wishing Wall." On 20 January 1842, 175 years ago tomorrow, Tunnerminnerwait and Maulboyheenner were the first people to be hanged by the Government in the District of Port Phillip, the colony to become known as Melbourne. 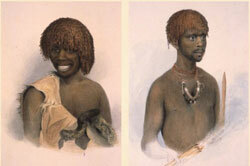 Following their execution, the bodies of the two Indigenous men were transported down Franklin Street and buried in the Old Melbourne Cemetery, upon which the Market now stands, in the newly created Aboriginal burial section (approximately located between E & F sheds near Queen Street). A commemoration has been planned by the Tunnerminnerwait and Maulboyheenner Commemoration Committee which includes a memorial ceremony at the T&M monument (installed on the corner of Franklin and Victoria Sts in 2016) at 12pm on Friday 20th January followed by a walk to QVM to lay flowers at the burial site at approximately 1pm. Boom Fizzles – it would appear that the tourist inspired sales boom that occurred during the week after Tuesday 27th December has been short lived with some dismal trading being reported in the top end (Specialty Merchandise) over the last week. We even have two reports of traders not making a sale during a trading day. The fickle nature of retailing continues. Heat Policy – older traders who took advantage of the market’s heat policy and stayed away last Saturday (36 degree forecast) can expect a visit from their category manager to confirm their leave entitlement. Angst Over Trading Days – traders seem to be divided over taking leave on public holidays with a number of traders upset that we are closing on Australia Day which falls on a Thursday, a normal trading day. More Angst Over Trading Days – a brief appearance on the QVM website of a notice saying the market would be closed on Easter Sunday was quickly removed thanks to a message from trader John Magno to CEO Malcolm McCullough. These sorts of trading arrangements are usually ironed out in meetings between Trader Representatives and management but with the transition to the new Trader Representative Committee being delayed, the communication channels have suffered. Language Test – a number of traders have found it necessary to use their limited knowledge of foreign languages as the market gets a welcome influx of international tourists. Visitors to the tennis seem to come from all parts of the globe and it is interesting that no matter where they come from, the phrase “Any cheaper?” is universally understood. New Market Pavilion - public sessions have been organised to discuss the new temporary pavilion on Queen St. with representatives of the the renewal team and the pavilion architects on site at the Engagement Hub. Traders who have not caught up on the arrangements may wish to attend. 1. David Jones to open boutique style department on Brisbane’s James St.
2. Harbourside Shopping Centre in Sydney to introduce sand beach concept. 3. Federal government announces ban on green or raw prawn imports following discovery of white spot virus in Australian prawns. 4. McDonalds sells controlling interest in China operations to state owned corporation CITIC. 5. Jeweller, Michael Hill, records mixed first half results. 6. 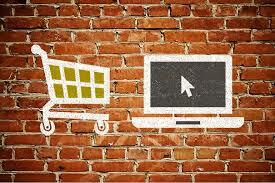 China’s largest online retailer, Alibaba, looks to buy Intime Retail Group in entry to bricks’n’mortar channel. 7. Athletic apparel brand, Lululemon, reports strong 4th quarter sales. 8. Dubai Shopping Festival features world’s largest multi-media water projection display. 9. David Jones reports 4% sales rise during Christmas period. 10. New computer touch screen at CES allows users to “feel” fabric. Technology has relevance in many industries and retail has been bombarded by innovations over recent years. Mobile EFTPOS machines, easy website building, and social media are just a few examples that Queen Vic Market traders have experienced. - Screens that allow you to “feel” fabrics. Bricks’n’mortar stores have had the comfort of knowing that the touch and feel of goods can only be experienced instore but that could all be about to change with this invention. that allows you to “feel” on a computer screen. - Printing by burning paper – if you must have a hard copy then using laser beams instead of ink for printing could be a real resource/cost saver. - Concierge wearables – the Carnival cruise ship line has introduced wearable medallions that will enable guests to do everything from unlocking a cabin door to making a reservation at a restaurant. 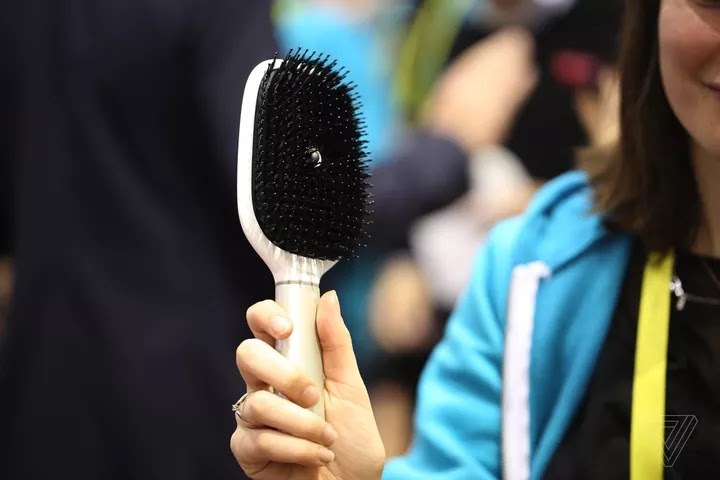 - Smart hair brush – the simple act of brushing your hair has been brought into the technological age with this brush that records your hair-brushing patterns, the amount of pressure you apply, and whether you are brushing wet or dry hair. The whole thing connects to an app of course. 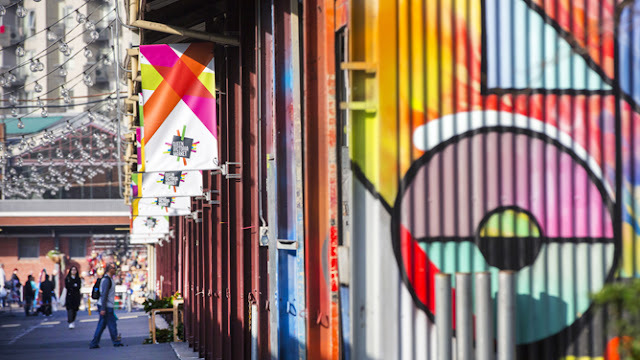 The City of Melbourne website, Queen Victoria market Precinct Renewal, gives a pocket description of many issues related to renewal and is a great source for the public to keep up with plans and follow the proposed timeline. "String Bean Alley and Queen Street will be turned into new market sites, offering exciting and vibrant new locations for traders and customers." The ongoing relevance of SBA will be welcomed particularly by current tenants. The lamb industry's Australia Day advertising has sparked significant discussion and if you haven't seen it, here it is . Given the variety of nationalities, not just of our Queen Vic Market customers, but also our traders, it seems appropriate to embrace our mixed heritage. This ad does it in a way that stuffy bureaucracy would find difficult. We particularly love the line from ABC cooking show host Poh Ling Yeow - "Aren't we all boat people?" A recent study of US Reserve Data shows that millennials are financially worse off than their parents were at the same time of life. Despite higher rates of education, millennials are earning around 20% less than their parents were at the same age. At the age of 28 many baby boomers were earning wages sufficient to pay off a house while bringing up young children. Those children today are renting apartments, earning less money, paying off education debts and thinking of having children later. Education levels have certainly risen although millennials with a degree are only earning slightly more than a baby boomer was without a degree. Baby boomers can have sympathy for the difficulties being experienced by their children although the likely impact on their own lives can't be ignored. 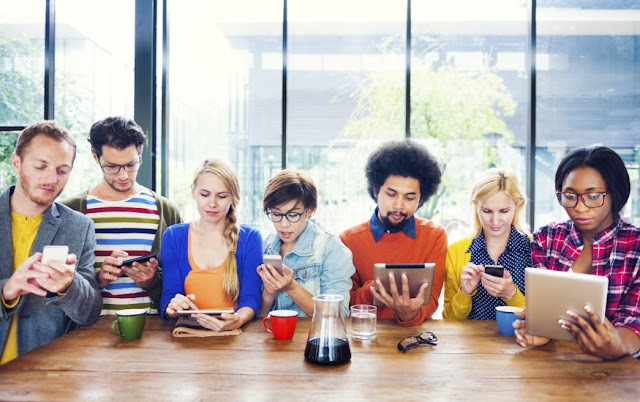 Baby boomers rely on millennials to pay the taxes that support their social security and medical payments and provide the economic stimulus that supports financial investments. Do You Respect Your Customers? Do you respect your customers? Or do you think the majority are trouble-makers who don't really want to buy? Don't laugh - some traders talk in these terms, hopefully only between themselves. One trader expressed a theory that on bad trading days the good customers are simply absent. All we are left with are the customers who are out to browse, have no intention of buying, and are wasting our time. They are always part of every market crowd but it is easier to put up with them when the good customers are also around. So instead of complaining about the bad customers, we should be complaining about the good customers who have decided not to come. It is a moot point but it might help navigate through those difficult trading days. 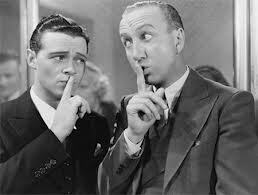 Getting back to the respect thing - I walked past a group of customers chatting in the aisle yesterday and one of them was telling his group that he found a product he quite liked but the trader wouldn't talk price. I'm not sure what "wouldn't talk price" meant. Was it simply that the trader wouldn't meet his offer or that he refused to talk price at all. On my stall, we display a normal retail price and our discount price. If a customer asks for a price reduction we refuse but rather than disrespect their request we gone on to explain our pricing philosophy and why we choose to display a discounted price upfront. I'm sure it bores the hell out of some people but the majority seem to appreciate the explanation and the respect we show their request. After all, we know that many traders expect a to-and-fro bargaining session with every sale, and we can't blame customers for trying to work out whether we do the same. Either way, a little respect usually ends up with a good customer exchange and often a sale. Even if they don't buy this time, they are likely to become one of the good customers that help create a good trading day next time. And to conclude, the following graphic was recently published in the Harvard Business Review. 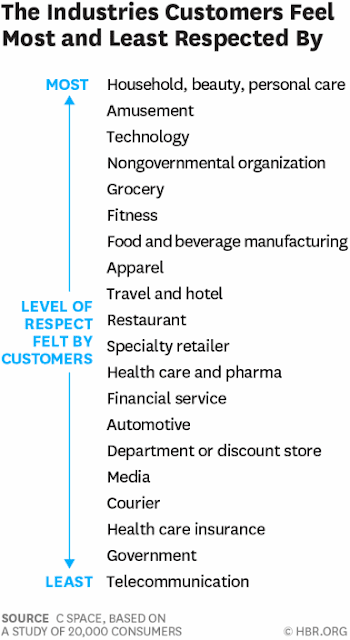 Note how grocery and food brands rate higher up the scale, specialty retailers rate around the middle and department stores lower down the scale. I wonder where market traders would come in? The cruise ship, "Celebrity Solstice", will be docking in Melbourne on Saturday 14th January and staying overnight. 1300 Arrive back at the ship in Port Melbourne. 1: The customers can not stand in front of the stall to have a look at the merchandise and leave. 2: The merchandise is getting faded by the Sun and every year there are tremendous losses to the trader. 3: The trader, being in always their stall, is facing the Sun every minuet, which is quite hard, unbearable and unhealthy that could cause dangerous health problem. I think all the traders on this side of J Shed, need to have a safe and healthy environment to trade successfully. " Thanks Henry. Some important points for our review of the Christmas trading period and indeed any other similar occasion when we are anticipating increased demand e.g. Easter. - Ed. 09/01/2017 12:37:26 J shed “Dear Greg, thanks for your informative comments over the years. Being a longstanding stall holder in J shed I make comment that issues with heat, fading of stock, birds poo ETC. are common to both sides of the shed, however we are a great market and not a shopping centre and I feel that everyone is becoming too precious. Please respond. Thank you for your comments. Part of your submission came through garbled so I hope your comments are correctly published. It is true that we are a market and we should always expect a certain "grittiness" (David O'Neil's term). But we also need to be mindful of customer comfort. J Shed has a roof to protect customers, traders, and their stock from the elements. If the roof is failing in that regard and some adjustment can be made without destroying the market atmosphere then we should address the problem. QVM's architecture will always guarantee a certain grittiness and unique charm although perhaps extreme direct sunlight and bird poo go too far. Incidentally, I have been reminded that J Shed doesn't actually have a J Shed nominee in the upcoming elections so we will need to ask how these sorts of issues can be addressed. - Ed. The media is full of predictions at this time of year. You know the ones - "The stock market will crash in 2017", or "Why the stock market will continue to rise." Don't laugh - those two headlines have surfaced in respectable publications this week. I don't want to claim the high ground but only one article appeared on Victraders last week and it related to a sales boom at The Queen Vic Market which was caused by an influx of tourists. In the madness of New Year analysis and predictions it was the only predictable thing I felt I could write about. As a Trader Representative for the last 6 years I have lost count of the times I have looked deeply in the eyes of management or city hall executives and said "the busiest time of the year for Specialty Merchandise Traders is often not the week before Christmas but the week after, as tourists hit town." Invariably I get a surprised reaction that borders on disbelief - that sort of disbelief that is politely accepting but you can see the brain ticking away and saying "how can that be right?". Well, once again it appears it happened this year. I say "appears" because, of course, we don't have solid sales data, but certainly every Trader who traded on Tuesday 27th December will tell you the post-Christmas tourist created sales boom is alive and well. Bright spots in retailing are few and far between these days and the quandary now is how that knowledge can be used to full advantage. But first, let's get things into perspective. The takings of Specialty Merchandise Traders before Christmas pales by comparison with fresh food. I think we all get that. The hype surrounding our food offer, particularly at that time of year, is well deserved and a joy to behold for every fan of retailing. But after Christmas, when fresh food traders are looking for time off, the Specialty Merchandise Traders need to take every opportunity and need the lions share of QVM resources to maximise their opportunities. The lesson is simple. While one sector of QVM shuts down on Christmas Eve, another is just getting ready for peak business. This market rarely sleeps. And that is a lesson for everybody associated with QVM including those traders who missed an opportunity to trade on Tuesday 27th December. 1. Cotton On back-pays workers after mis-calculation. 2. US study warns more online shopping means more parcel delivery trucks on our roads. 3. Shavers Shop trims profit expectations. 4. Woolworths sells its fuel business to BP. 5. Controversy over McDonalds opening in Vatican City. 6. Pumpkin Patch owes $59.5m to ANZ according to receivers. 7. Kate Spade & Co seeks buyer. 8. Macy’s plans to close 68 stores. 9. Legoland Discovery Centre to open at Chadstone. 10. Citi says JB HiFi and Myer were winners in “lukewarm” Christmas trade. 11. Single Bluefin Tuna sells for $866,000 in Japan. 12. Non-carbonated soft drinks continue to grow faster than fizzies. Sagra del formaggio will be the perfect event to experience the marriage of Victorian wine and cheese in Queen Victoria Market's Dairy Hall by night. In a move that could impact significantly on QVM visitation, Lord Mayor Robert Doyle has proposed an island facility in the middle of Port Phillip that would allow a huge increase in the number of cruise ship passengers coming to Melbourne. An island facility would provide a ferry point for passengers to be brought into the heart of Docklands rather than the current drop off point at the ageing Station Pier facility in Port Melbourne. 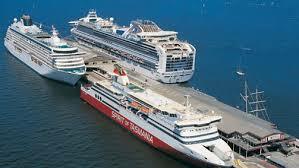 Mr Doyle said "It could be really a very vital part in doubling the number of these cruise ships that come to Melbourne. And in particular, as they get bigger and bigger, if we only have Station Pier - we are less and less attractive,"
Last year Queen Victoria Market participated in the inaugural Melbourne Chinese New Year Festival that was developed under the direction of the City of Melbourne. The Festival benefited from cohesive branding and an integrated marketing strategy aimed at the Chinese community, local and international, as well as the non-Chinese community. Following the success of last year, we will participate as a major activation partner in the 2017 Festival with celebrations igniting at the Market from 27 January to 12 February 2017. Throughout this time, there will be an illuminated display of mythical creatures (image above) on Queen Street and red lanterns hung in the Food Court. The deli hall window will also be themed with products from the traders. 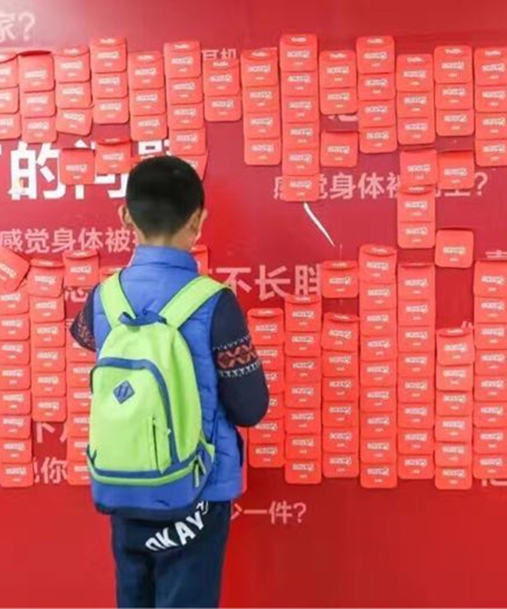 A Hongbao Wishing Wall will be installed on Queen Street where market goers will be invited to take a red envelope and to scan a QR code to follow our WeChat channel. 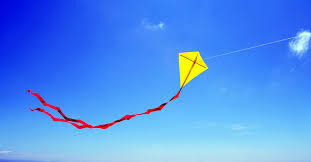 They will also be prompted to play a Scratch & Win game for the chance to win prizes and offers from the traders and a hot air balloon flight over Melbourne with thanks to Global Ballooning. Should We Ban Storage Boxes From Aisles?